Select Class Class 6 Class 7 Class 8 Class 9 Class 10 Class 11 Class 12 Please select	your class. KODA incorporate more than 12+ programming concepts and 60+ learning modules. The teaching modules are designed in a fun way to keep the learners engaged. The modules cover programming and STEM concepts. KODA is enriched with more than 200+ activities and 50+ challenges. The activities and challenges are designed to not only assess the learning but also aid in reinforcing the application of the concepts. The jobs of future will need new skill sets such as Creativity, Collaboration and Critical Thinking. 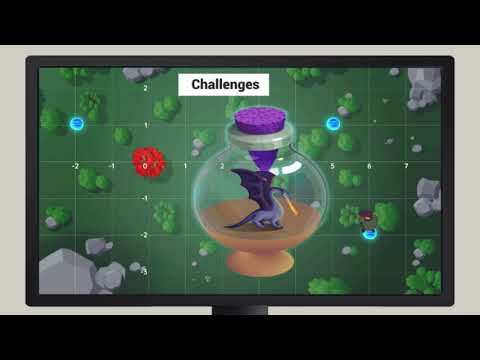 KODA helps students learn this 21st Century SKills using game-designing as the medium. Computational Thinking is an approach to problem solving which teaches students how to solve a given problem methodically. KODA teaches Computational Thinking concepts and skills to students while teaching them how to code. Research has shown that students learn best when they are applying their learning to create tangible artifacts. KODA uses this philosophy to teach students STEM (Science,Technology, Engineering and Mathematics) topics and Coding concepts while designing a game. Also, as per various surveys, in the coming decades, the most valued skills at workplace will be the ability to think critically, creativity and to be able to work collaboratively in teams to solve complex problems. KODA places a special emphasis to teach these 21st Century Skills to the students.